About Campbell: Owen Campbell is a 28-year old Australian slide guitarist/singer/songwriter who got his break as the runner up on Australia’s Got Talent. In 2011, Campbell released his self-produced debut Sunshine Road which hit #1 on the blues charts in Australia, New Zealand, Denmark, Norway, and Sweden. 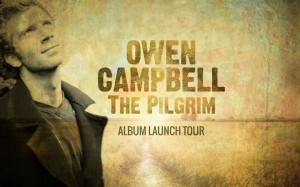 The Pilgrim, Campbell’s second album, was produced by Mark Opitz (AC/DC, INXS) and is set for a June 7 release. You’ll like it if…You’re into blues records from the 50’s and 60’s that aren’t completely polished and overproduced. It’s also for those that are comfortable calling something blues that doesn’t follow a 12-bar or similar blues purist approved structure. Avoid if…You’re looking for a more contemporary blues sound that’s similar to modern American blues artist like Kenny Wayne Shepard, Robben Ford, and Gary Clark Jr. Campbell chooses to leave his arrangements sparse, and resists the urge to clean every bit of dirt from his takes. Of course blues purists will cringe as well since Campbell pulls heavily from a variety of non-blues influences including folk, rock, and indian. 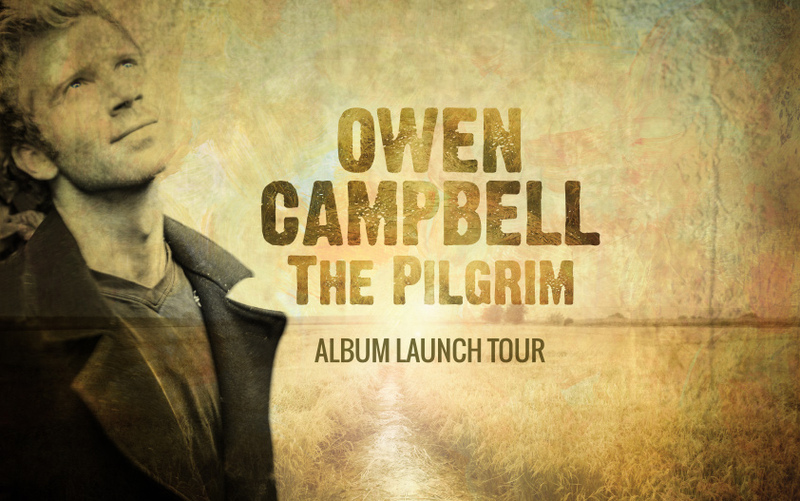 About the Album: Campbell’s second album The Pilgrim sees Campbell branching out from the guitar style that originally won him fans on Australia’s Got Talent. Campbell’s unique acoustic slide style is almost completely absent from The Pilgrim, and in its place are downright nasty electric tones that sound like a sputtering dimed out 50’s fender combo. Sure it’s a little muddy, but after all this is the blues, and it fits the genera well. While the album touches on a variety of genres, tunes like “Remember to Breathe,” “Wreckin’ Ball,” Leave it alone” are big full band mid-tempo blues rockers with huge drums, and screaming organ, and Campbell’s nearly shouted vocals. The arrangements have plenty of room for the music to breathe and aren’t stifled by overproduction and unnecessary parts. Campbell’s acoustic guitar does take center stage on several more folk/rock tunes influenced tunes like “You know I’m gone,” “It Don’t Mean a Thing,” and “New Years Eve,” but instead of using a slide he chooses instead to half strum half pick his rhythm parts. At times he doesn’t quite hit all his notes cleanly, and while an imperfect performance works well with the blues, acoustic folk/rock tunes are not so forgiving. Campbell’s best instrumental performance on Pilgrim may be on “Highway Bound,” a traveling blues tune where Campbell drops the guitar altogether and absolutely shreds a banjo while being accompanied by shakers and a bass drum. The songwriting on The Pilgrim seem comfortable adding to already existing library of bluesy rock tunes, and the tunes don’t push the genre further in any direction. One exception is “Bukhu’s Blues,” which is an eastern influenced drone that features Campbell’s signature acoustic slide work. It’s a sharp departure from the rest of the album, but manages to fit nonetheless. Vocally, Campbell retains the same Paul Rogers meets Rod Steward gravel found on Sunshine Road. It’s almost expected that a bluesman sounds like he’s smoked two packs a day and drinks a jug of moonshine every night, and often younger blues singers intentionally add grid to fit the style. But that doesn’t seem to be the case with, Campbell whose vocal style always sounds honest and genuine. Perhaps Campbell’s strongest vocals are on “You Know I’m Gone,” a minor acoustic blues-tinged tune with blunt dark lyrics and a pained emotional delivery. The Pilgrim is strong follow up to Sunshine Road, and while the absence of Campbell’s Slide work is noticeable and surely missed, Campbell proves capable playing in a more traditional blues style. Favorite song: “Remember to Breathe” It’s a rocker with some serious attitude. It also features a unique instrumental break leading into the solo. Least Favorite song: “New Years Eve” It just doesn’t sound complete, and sounds more like a demo of what could be a good song. It would probably be better with a full band, or at least a more effective acoustic guitar arrangement. Bottom Line: It’s not groundbreaking, but it’s an effective blue/rock album in a genre that certainly needs some talented young blood. STREAM IT.